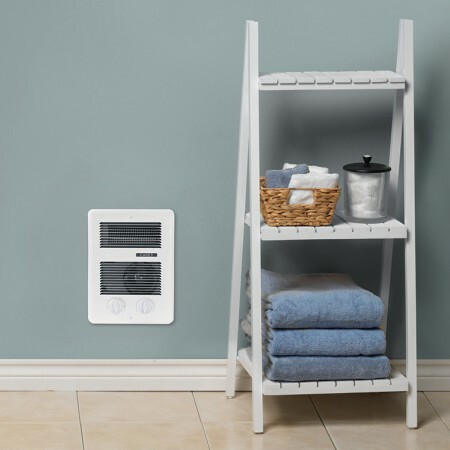 The Cadet Com Pak Bathroom Heater is a most versatile and stylish heater equipped with a built in thermostat and 60 minute timer. It is a great option for adding supplemental heat to any room. The 60 minute auto timer overrides the thermostat setting for instant warmth and comfort. 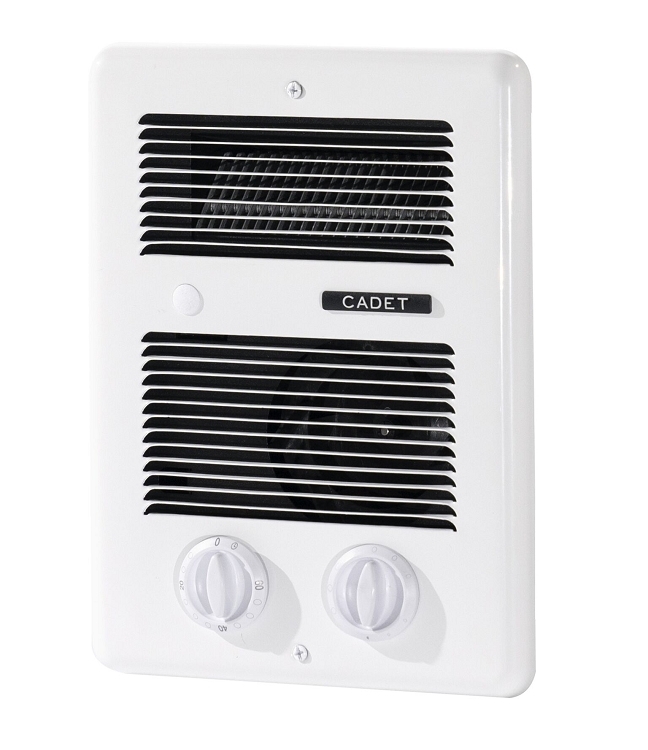 The Cadet Com Pak Bathroom Heater is available with both multi volt and multi watt options. 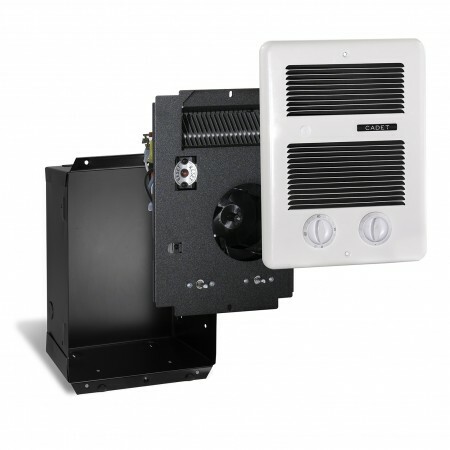 Because the Cadet Com Pak Bathroom Heater fits into any C series wall can, it is a great option for replacement, remodel or new construction.